The Spring Garden Competition is fast approaching and I thought it might be useful to look at some of the things that will help people do well in the Competition. Maria has published these hints and others on the website, so make sure you visit it regularly for all kinds of great information on gardening as well as Club activities. 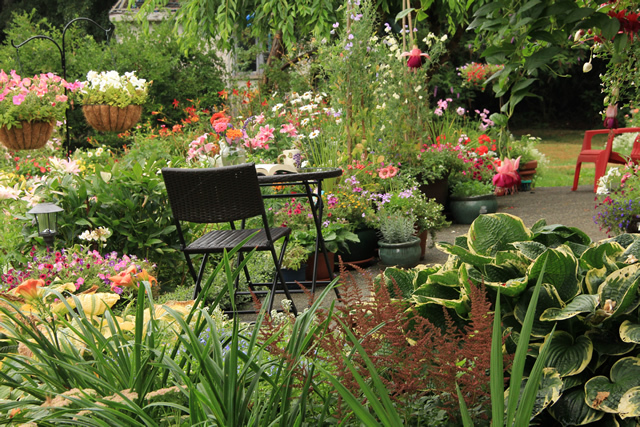 So what sort of things can you do to give your garden the best chance of success? The judge will also look at the condition of your garden. Plants should look healthy. There should be no disease or insect infestation to be seen, and your garden should not have any signs of nutrient imbalance, e.g. yellowing of leaves etc. 2. If you have a lawn it should be healthy, weed free and nicely edged. Any other key features you have in your garden should also look their best. And your vegie garden (if you have one) needs to be seen as a working garden, ie, it is quite acceptable to have resting beds, and succession plantings are always looked upon favourably. 3. Garden design is another important aspect of judging and includes things such as layout, use of colour, line, form and texture, and of course, plant use. Try to have a clear theme for your garden and stick to it. Where possible, have garden “rooms” that help make best use of your available space. Last but not least, please remember that judges are trained to objectively assess different kinds of gardens, so don’t be afraid to have a go with your garden in this year's competition.